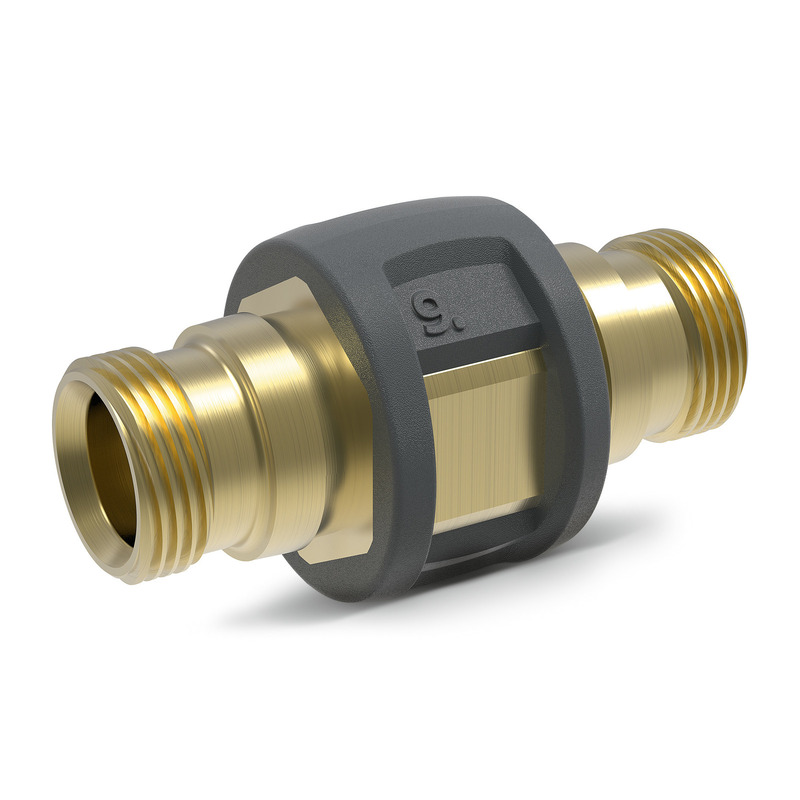 Brass double connector for connecting and extending high-pressure hoses. With rubber protection. Connector: 2x M 22 x 1.5 m.